This week, I thought I was going to be concluding a three-part series, but I’ve decided it needs at least one more eSight next week, so this is part three of what is now our four-part eSight series on the Christus Victor paradigm of interpreting the purpose of Jesus’ life, death, and resurrection. If you’ve been with me for the last two weeks and you’re still with me, let me first say thank you for taking an interest in this subject, and I pray that what I am about to share will “click” for you, the coin will drop into the slot, and your heart will grasp, on a deeply profound level, how radical, self-sacrificial, and other-centered God’s love for you truly is. Let’s begin. Since the children have flesh and blood, he too shared in their humanity so that by his death he might break the power of him who holds the power of death—that is, the devil. Hebrews 2.14. The serpent then says to the woman, “You won’t die. God knows that in the day you eat from it your eyes will be opened, and you will be like Him, knowing good and evil. . . . she took from its fruit and ate; and she gave also to her husband with her, and he ate.” Genesis 3.4-6. The devil led him up to a high place and showed him in an instant all the kingdoms of the world. And he said to him, “I will give you all their authority and splendor; it has been given to me [by Adam and Eve long ago in the garden], and I can give it to anyone I want to. If you worship me, it will all be yours.” Luke 4.5-7 (emphasis added). The apostle John calls him the Accuser, who accuses us before God day and night, accusing us of rebellion against God, of following him, and therefore, belonging to him. “Since the children have flesh and blood, he too shared in their humanity so that by his death he might break the power of him who holds the power of death—that is, the devil” (Hebrews 2.14). We shared last week how Christ death destroyed the first facet of the Devil’s work. But how did the Cross destroy this second facet of the Devil’s work (1 John 3.8)? What I am about to share with you I will freely admit has been abused by some when used within Anselm’s penal substitutionary paradigm. However, when we seek to understand these same realities from within the Christus Victor paradigm of first-century Christianity, they reveal that the Cross was a dramatic rescue mission which in turn shines bright with brilliant rays the beauty of the radical, other-centered, self-sacrificial love of our God in His Son, Jesus Christ. The answer to our question is actually hidden right there within our passage. God would share in our flesh-and-blood humanity. But not just as another son (or daughter) of Adam. No, no, God would join us as a new, a second, the last “head” of our flesh-and-blood human race. God would become incarnate not just as one of us living among us. Our incarnate God would come to us as the “Last Adam” (1 Corinthians 15.45). “The children struggled together within her; and she said, ‘If it is to be this way, why do I live?’ So she went to inquire of the LORD. And the LORD said to her, ‘Two nations are in your womb, and two peoples born of you shall be divided; the one shall be stronger than the other, the elder shall serve the younger’” (Genesis 25.22-23). “One might even say that Levi himself, who receives tithes, paid tithes through Abraham” (Hebrews 7.9). Levi is Abraham’s great grandson, but when Abraham gives tithes to the priest Melchizedek, Levi is considered as having paid tithe to him, too. This is how the author of Hebrews proves that the priesthood of Levi is subservient to the priesthood of Melchizedek (see Hebrews 7, where Christ, a priest of the Melchizedek priesthood, is shown to be of a greater priesthood than Levi’s, but this is a tangent to our present discussion). But what does all of this mean when we apply it to God’s becoming incarnate and coming to us as the new head of the human race? It means that all of us are, in a sense, connected to God now, too, with him being our new “Adam.” Watch how Paul puts it and please keep in mind the two nations, represented by Esau and Jacob, as well as how Abraham represents even his great-grandson Levi. “For the love of Christ urges us on, because we are convinced that one has died for all; therefore all have died” (2 Corinthians 5.14). “Who, though he was in the form of God, did not regard equality with God as something to be held on to, but emptied himself, taking the form of a slave, being born in human likeness. And being found in human likeness, he humbled himself and became obedient to the point of death—even death on a cross” (Philippians 2.6-8). Note that Jesus did this not only as a revelation of God’s character but also as a revelation of what humanity would have been had they not been deceived regarding God’s character. “Having loved his own who were in the world, he loved them to the end” (John 13.1). Again, this not only shows how radically other-centered and selfless God really was but also how radically other-centered and selfless we too would have been had we not been lied to and deceived concerning “God.” The Cross reveals not only God but the truth about you and me as well. And what was the result? “It follows, then, that, as a result of one misdeed (our original Adam’s) was condemnation for all people, so the result of one righteous act (our new Adam’s) is acquittal and life for all” (Romans 5.18). “He has canceled the charge of our legal indebtedness, which stood against us and condemned us; he has taken it away, nailing it to the cross, having disarmed the powers and authorities, he made a public spectacle of them, triumphing over them by the cross” (Colossians 2.14,15). He “cancelled the charge of our legal indebtedness.” He showed the charges against us by our Accuser to be false. He showed us to be deserving of acquittal rather than punishment. He proved the Accuser’s claim over this world, including us, to be invalid. Far from forcing us to suffer our penalty, He cancelled the legal charges that we were even deserving of a penalty to begin with, thereby disarming the Devil and making a public spectacle of him, triumphing over him by the Cross! What the Cross proved was that the “sale” of this world and its inhabitants by Adam to the Devil was based on a lie; therefore, the sale is seen to be invalid and, therefore, cancelled. The property will now be taken back from the Devil and returned to its rightful owner. “When a strong man, armed to the teeth, stands guard in his front yard, his property is safe and sound. But what if a stronger man comes along with superior weapons? 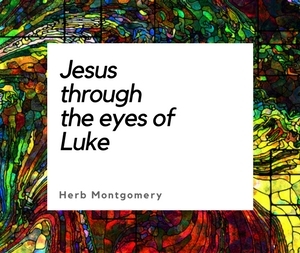 Then he’s beaten at his own game, the arsenal that gave him such confidence hauled off, and his precious possessions plundered” (Luke 11.21-22, The Message). “Then I heard a loud voice in heaven say: ‘Now have come the salvation and the power and the kingdom of our God, and the authority of his Messiah. For the accuser of our brothers and sisters, who accuses them before our God day and night, has been hurled down’” (Revelation 12.10). “And being found in human form, he humbled himself and became obedient to the point of death—even death on a cross. Therefore God also highly exalted him and gave him the name that is above every name, so that at the name of Jesus every knee should bend, in heaven and on earth and under the earth, and every tongue should confess that Jesus Christ is Lord, to the glory of God the Father” (Philippians 2.9-10). “Jesus Christ, who is now at the right hand of God, having entered heaven and received the submission of angels, authorities, and powers” (1 Peter 3.21-22, REB). The prophecy had been foretold, “He will crush your head, and you will strike his heel” (Genesis 3.15). In the narrative of the Cross, we see this prophecy come true. God, through the person of His Son Jesus Christ, “has rescued us from the dominion of darkness and brought us into the kingdom of the Son He loves” (Colossians 1.13). “God did this [the Cross] to demonstrate his justice [in leaving our sins unpunished], because in his forbearance he had left the sins committed beforehand unpunished—he did it [the Cross] to demonstrate his justice [He wasn’t ignoring our rebellion, rather He knew our rebellion was not founded on truth but deception] at the present time, so as to be just and the one who justifies [declares not guilty, innocent, and not deserving of punishment] those who have faith in Jesus (Romans 3.25,26). God’s heart toward us has always been one of forgiveness, for He has known all along that we did not know what we were doing (Luke 23.34). For clarification’s sake, we must not go too far and say that the Cross proves that, if we all knew the truth, we would all love. If we all knew the truth, we would still be free to return God’s love or to refuse it. What the life, death, and resurrection of Jesus proved is that humanity is capable of emulating God’s radically other-centered love if we can only see what the truth concerning who and what our God really is. Again, the Cross demonstrated what humanity would have been had we not been deceived into rebellion in the garden long ago. Thus, it cancels all accusations of the Accuser. “For the love of Christ urges us on, because we are convinced that one has died for all; therefore all have died . . . From now on, therefore, we regard no one from a human point of view.” (2 Corinthians 5.14-16, emphasis added). We do not have the capacity to know how much others are really accountable for and what they are not. How much do others really understand and know about what they are doing? None of us asked to be born, much less to be born into the situations that many of us find ourselves in. Each one of us has a life story. It is not simply that God tells us not to judge one another; if the revelation of the Cross is true, then we don’t even have the ability to judge one another correctly. Society may need to put some of us away to keep us from hurting others and ourselves, but in the larger scheme, God only knows how much each person is really accountable for and how much they are not. This is the root of why he tells us not to judge but, rather, to love as indiscriminately as the sun shines and the rain falls (see Matthew 5.44-45). The God of this universe became us not simply to defend our innocence but to take on our Accuser face to face and prove it. He not only challenged the Accuser’s claim over us but won the challenge! We are no longer the claim of the Enemy. We have an Advocate, Jesus Christ the Righteous! He is our matchless Savior! He is Christus Victor! Christ, the Victorious! Christ our rightful King! “In my vision at night I looked, and there before me was one like a Son of Man, coming with the clouds of heaven. He approached the Ancient of Days and was led into his presence. He was given authority, glory and sovereign power . . . His dominion is an everlasting dominion that will not pass away, and his kingdom is one that will never be destroyed” (Daniel 7.13-14, emphasis added). “What, then, shall we say in response to these things? If God is for us, who can be against us? He who did not spare his own Son, but gave him up for us all—how will he not also, along with him, graciously give us all things? Who will bring any charge against those whom God has chosen? It is God who justifies [declares innocent, not guilty, not deserving of punishment]. Who then can condemn? No one. Christ Jesus who died—more than that, who was raised to life—is at the right hand of God and is also interceding for us [against our Accuser]. Who shall separate us from the love of Christ? Shall trouble or hardship or persecution or famine or nakedness or danger or sword? . . . No, in all these things we are more than conquerors through him who loved us. For I am convinced that neither death nor life, neither angels nor demons, neither the present nor the future, nor any powers [cf. Colossians 2.15, Ephesians 6.21], neither height nor depth, nor anything else in all creation, will be able to separate us from the love of God that is in Christ Jesus our Lord (Romans 8.31-39, emphasis added). He gave Himself as a ransom for you, dear reader. Go live in His radical self-sacrificial love this week, and GO BUILD THE KINGDOM! I love you guys. We’ll wrap this up next week with one final facet.